Ships tomorrow if you order in the next 17 hours 21 minutes. Your body depends on a number of minerals and trace minerals to maintain optimal levels of health and wellness. While most can eb found in foods, they're also available in supplement form. 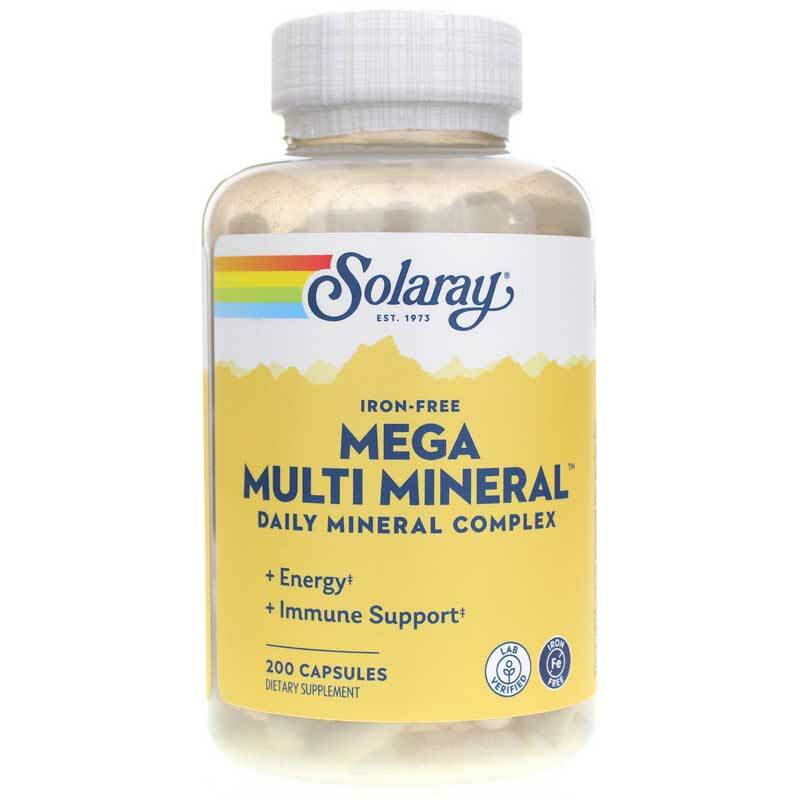 Solaray offers Mega Multi Mineral, an iron-free supplement that delivers broad spectrum support for better health in one convenient capsule. 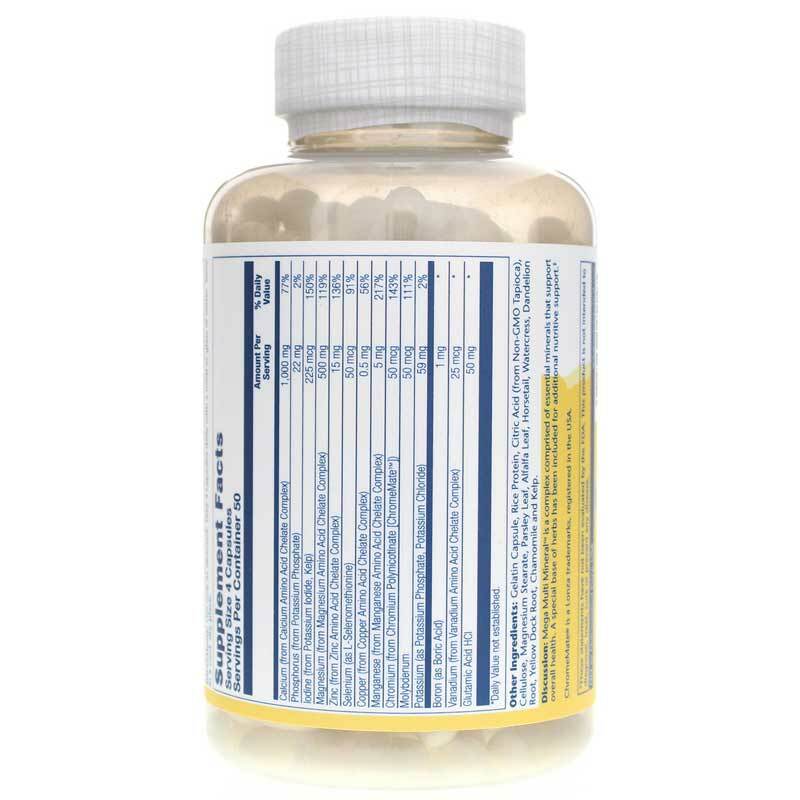 Mega Multi Mineral comes in an easy-to-swallow capsule form that may provide support for better health when taken four times every day with food or a glass of water. Give it a try today, and see the difference it may be able to make for you. Order now! Other Ingredients: Gelatin Capsule, Rice Protein, Citric Acid (From Non-GMO Tapioca), Cellulose, Magnesium Stearate, Parsley Leaf, Alfalfa Leaf, Horsetail, Watercress, Dandelion Root, Yellow Dock Root, Chamomile And Kelp. Non-GMO. Adults: Use only as directed. 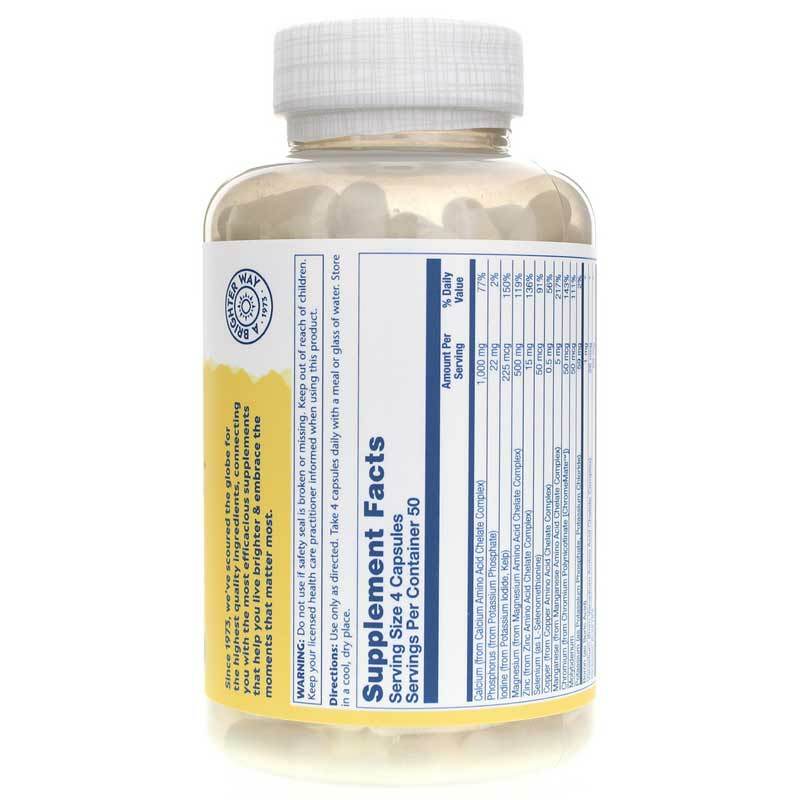 Take 4 capsules daily with a meal or glass of water. Keep out of the reach of children. Keep your licensed healthcare practitioner informed when using this product. Mega Multi Mineral Iron Free arrived very quickly. I recently ordered the Mega Multi Mineral Iron Free, 200 Capsules by Solaray. They were recommended by my pharmacist. I believe they are of very high quality. Shipping was free and fast as well! Minerals arrived in a few days and the price was quite reasonable. I would recommend using this company.